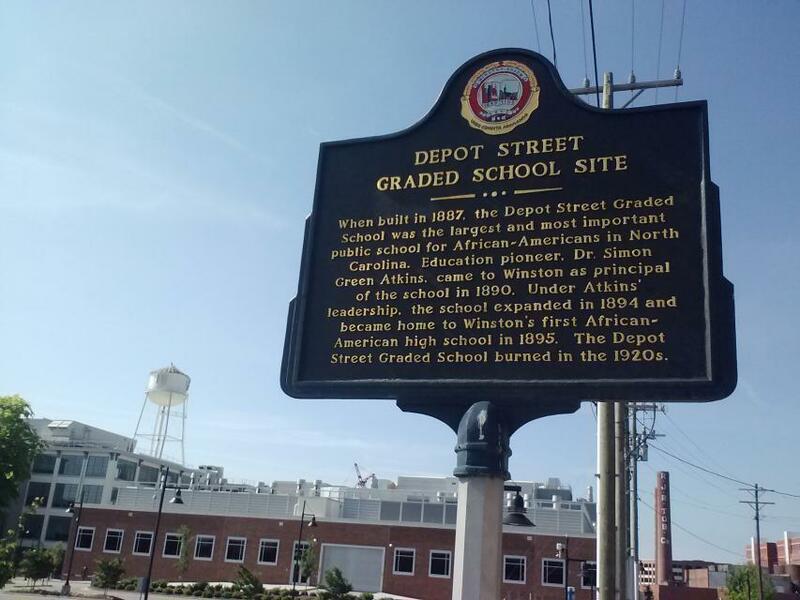 When built in 1887, the Depot Street Graded School was the largest and most important public school for African-Americans in North Carolina. Education pioneer, Dr. Simon Green Atkins, came to Winston as principal of the school in 1890. Under Atkins' leadership, the school expanded in 1894 and became home to Winston's first African-American high school in 1895. The Depot Street Graded School burned in the 1920s. As a volunteer for the Winston-Salem Cycling Classic, I stood in front of this marker for many hours today. When googling for additional information, I found this wonderful website! This marker can also be identified by its HM code. You can use the hashtag #HM179P in tweets, and any other place where you might refer to this marker, including when searching on this site.